Louis Ng, MP for Nee Soon Group Representation Constituency, is pushing for a ban on serving shark’s fin dishes at public service events, just before the onset of celebrations for Chinese New Year. Ng has good reason to do so, as sharks are being quickly pushed to the brink of extinction. In Parliament this week, Ng submitted a question asking if shark’s fin is still served and will continue to be served in public events in the future. He was answered by Trade and Industry Minister Chan Chun Sing, who told him in a written response that while the government has no policies specific to the serving of shark’s fin, its agencies serve what is “prudent and appropriate for the occasion” and follow principles of procurement based on fairness, transparency, and value-for-money. Furthermore, Ng pointed out the many questionable practices in the shark’s fin trade. “You really don’t know if you are eating shark’s fin from a protected species,” he said, pointing out that this makes transparency impossible. The National Parks Board (NParks) told Today that shark’s fin is no longer served in their activities. Francis Lim, group director for corporate services, says that this is part of NParks’ push for environmental responsibility and awareness. Many eateries around the country have also stopped serving shark’s fin, such as Crystal Jade and Pan Pacific Hotels. 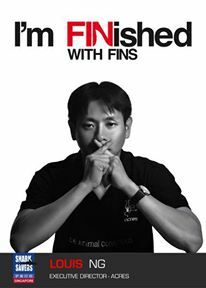 A 2016 World Wildlife Fund (WWF) survey revealed that 75 percent of Singaporeans want government policy to curb shark fin consumption. In 2017, another WWF study showed that Singapore is the world’s second-largest market for shark’s fin. Environmental activists say that 8,000 sharks are killed per hour, which has meant a 98 percent reduction in their populations in the last 15 years. Thirty species are now on the edge of extinction.